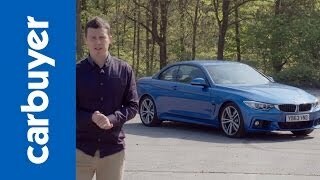 BMW has revealed the next extension of the BMW 4-Series, the BMW 4-Series Convertible, with new standards in terms of dynamics, elegance and extraordinary driving pleasure. 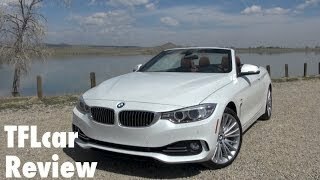 The BMW 4-Series Convertible sets itself apart from its BMW 3-Series cousins through a number of distinguishing technical features. The 4-Series Convertible is slightly longer and wider than its predecessor, still is up to 44 pounds lighter thanks to use of thinner, high-strength steel in the body, and aluminum in various chassis components. The BMW 4-Series Convertible expresses more dynamic conviction and sportiness due to the double-kidney grille, optional adaptive full-LED twin headlights, twin circular headlights and the large air intakes in the front apron. 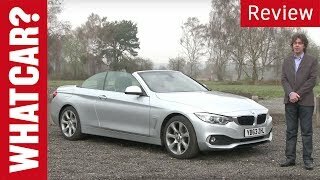 The hardtop of the BMW 4-Series Convertible features a number of design improvements that reduce noise levels for a much quieter interior ambience. It takes a push of a button to transform the dynamic coupe into an elegant athletic convertible within 20 seconds. The interior of the BMW 4-Series Convertible presents a stylish fusion of sporty allure, elegance and exclusivity. All of the controls are arranged ergonomically around the driver to provide optimum access to all functions. A sports steering wheel, crystal-clear circular instruments in black panel look and the freestanding, flatscreen iDrive monitor, the iDrive Touch Controller underline the sense of functional elegance. 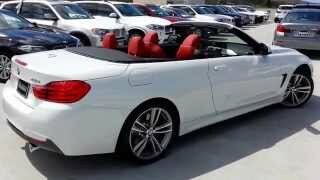 The BMW 4-Series Convertible comes with an in-line six-cylinder petrol engine (BMW 435i Convertible), a four-cylinder petrol engine (BMW 428i Convertible) and a four-cylinder diesel (BMW 420d Convertible). These engines cover the performance range from 135 kW/184 hp to 225 kW/306 hp and feature the latest BMW TwinPower Turbo technology. The power from the engines is sent to the rear wheels via a six-speed manual gearbox as standard.